WatchGuard, Inc. (“WatchGuard”), the leading provider of mobile video solutions for law enforcement, announced the appointment of Joe VanSchuyver to Vice President, WatchGuard Professional Services Group, capitalizing on market demand for leading system manufacturers to provide paths for integrating their offerings with the various software applications used by law enforcement. In his new role, Joe will lead a team of developers, test engineers and deployment technicians charged with delivering customer-requested outcomes that exist outside the boundaries of the standard product, as well as overseeing the deployment of customized and non-customized systems, added Coffman. 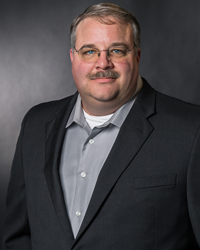 VanSchuyver, previously Director of Technical Services at WatchGuard, has over 27 years of experience in Information Technology, collected from a diverse set of industries including military, internet services and construction. He’s an expert in architecture, infrastructure, networks and information systems. His career includes a decade of experience designing and managing large scale enterprise systems for Fortune 500 companies, such as Centex Corporation (purchased by Pulte); and the Chief Technology Officer position at Ticket Master’s Match.com division. VanSchuyver has been awarded a patent for a security evaluation and testing system, and is a decorated veteran of the U.S. Navy.